Ultrasound is a common imaging technique that employs high frequency sound waves to create images of organs and other internal structures of the body. These images provide valuable information of underlying pathology of the tissues and assist with diagnosis and planning the treatment of a particular condition. Ultrasound provides a clear view of the organs, tendons, muscles or joints and any associated disorders. 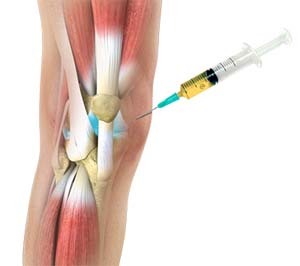 Knee joint injections are frequently used for knee conditions such as osteoarthritis, baker’s cyst or knee bursitis. During the administration of the injection the patient will be positioned lying down and clear water based conducting gel is applied over the targeted site. The gel is used for transmission of the sound waves to deeper structures. The doctor moves the hand held transducer over the targeted area to provide images of internal structures. Under the guidance of ultrasound, the doctor inserts the needle into the skin to reach the targeted location. The procedure can be used for injecting medications or to aspirate fluid from the affected tissue. Ultrasound guided injection is a relatively safe and painless procedure. Some of the associated complications include bleeding at the site of insertion, and injury to adjacent structures. Patients can resume their normal activities immediately after the completion of the procedure.